Setting a crab pot (also known as a crab trap) requires a few things. Aside from the obvious crab pot that you will need, you will also need some sort of rope or attachment in which you will haul up your catch and use to set your crab pot. Let’s show you the ropes. The rope used to attach your crab pot to must be sturdy enough to hold the contents of the crab pot and the crab pot itself. Depending on your crab pot size and weight, different ropes are suitable for your specific needs. While serious, commercial crabbers will utilize crab pots that weight upwards to 1000 pounds, recreational crabbers like you will probably just have 2-3 crab pots at 10-20 pounds each. So you probably won’t need a super tough steel wire but you want something sufficient. As far as tensile strength goes (how much poundage/force your rope is gauged for), anything around 50-60 pounds is more than enough but to be safe and based on your price range, you may want something rated for 100 pounds. If the ropes you are checking out don’t have the rating or are looking for a cheap alternative, poly rope with a diameter of ¼-½ inches should be good. This type of rope is usually the cheapest. It’s tough on your hands so you might want to wear some gloves. More important than the strength of the rope, however, is the length of the rope. The length of the rope MUST be long enough to reach the bottom of the body of water if you intend to maximize your crab catch. Sufficient lengths for the recreational crabber will depend on where you are crabbing but anywhere from 50-100 feet should be good. Usually though, if you are crabbing off of a dock or pier, 100 feet is more than enough. If you are crabbing from a boat, the depth of the water will probably vary. You may want to check the max depth before you buy your rope. Line scope is a term used to define a safety factor for the length of your rope. You want to add about 25% extra rope for the depth you are crabbing at. So for example, if your water depth is 100 feet, your rope length should be 125 feet as your crab pot may walk while it’s soaking. 25% line scope is a good rule of thumb. 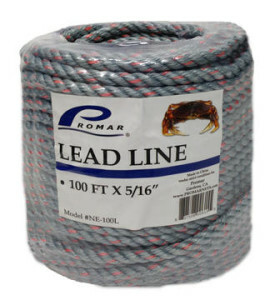 or leaded rope . As far as what is cheaper, it will probably depend on the length of your rope. This knot makes a fixed loop at the end and is very strong. It doesn’t grip whatever you are tying it to so it allows for more free movement of the line. A simple all-purpose hitch. Be careful with a clove hitch though as it can be undone easy without any load on the line. Use this knot in combination with another one to prevent it from unraveling. This makes a reasonably secure loop at the end of your rope. It is very versatile and easy to make. There’s nothing that says you can’t use knots in combinations to be safer. Channel your inner boy/girl scout and knot away! 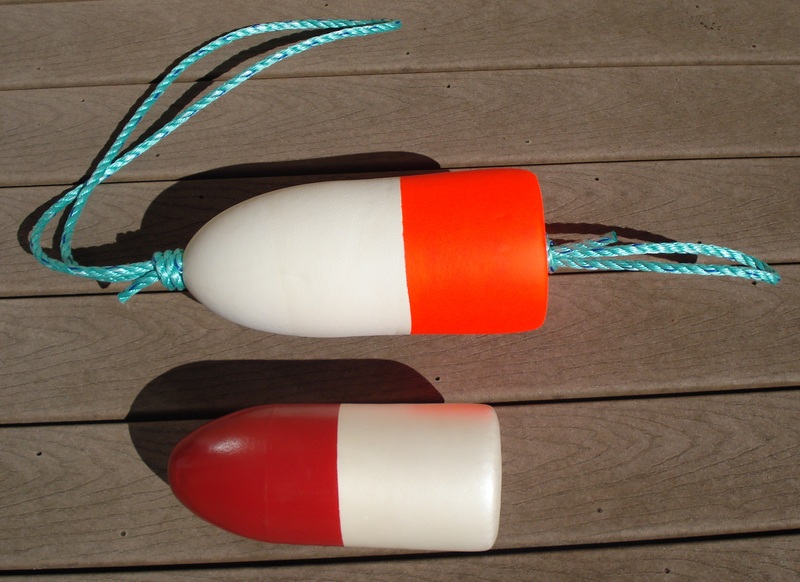 Now that you have gotten the hang of the ropes, literally, let’s talk about buoys. If you are using crab pots, buoys are important to indicate where you have set your pots and it tells others who the pot belongs to. In most cases and if your crab pots are left unattended, buoys are required by law and must be labeled appropriately. Generally, you need to label the buoys with your name and address. It would be wise to paint your buoys a distinct color so that you can easily spot them. It’s not required but is good practice. You can attach your rope to the buoy using any of the previous knots mentioned. Of course though, buoys are only needed if you plan on crabbing in the open water with a boat. If you are crabbing on a dock or pier, you may fix your pot to an attachment point. However, it may still be wise to label your line. Bait boxes store the bait inside of you crab pot and make it more difficult for the crabs to eat all of your bait. You can attach them to your crab pot with zip ties. The advantange of using a harness is that it keeps your crab pot balanced and level as you set it and retireve it. It also makes moving the crab pot more stable and egronomic for you. To connect the harness to the pot, simply snap on the three or four snaps into various parts on the trap. Then use your favorite knotting technique to tie the rope to the harness. Invest in an inexpensive yet durable harness and you will thank youself for it later. Similar to labeling your buoy, you may need to also label your crab pot with your name and address. Check with your local area’s shell-fishing rules and regulations to see if you need to. After you have rigged your buoy (if necessary), attached your rope to the crab pot, filled the pot with bait, and labeled your pot, you should carefully lower it into the water until it reaches the bottom. If you want to leave it unattended for a long period of time (a day or more), it is wise to weight your crab pot with some bricks or something so that it doesn’t “walk” with the water’s current. When pulling your crab pot up from the water, you can manually do it or if you have a boat, you can use a pulling mechanism called a crab pot puller . 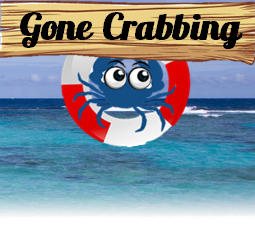 Ready to start crabbing? Check out everything you will need from lead ropes that sink to buoys to quality crab pots at the CrabbingHQ store. Great video jamminjamy! It’s always fun to share the crabbing experience with family. How are you currently storing them? Great info, thanks. Typically how many pots are used per line for commercial king crab fishing? Also, I am having difficulty imagining these pots weigh 800lbs. Even the 10’x10′ wouldn’t seem to appear that heavy. We wind ours onto a large garden hose reel in the boat house. Each line feeds at the same time onto their own dedicated section on the (horizontal)reel. Guides (I made) makes sure they all go in evenly. Helps keep their shape. We have 4 lines on each reel. If you dropped the whole rope in the water what do you do? And I don’t want to jump into the water?